Flatiron’s mission is to organize the world’s oncology information and make it useful for patients, physicians, life sciences and researchers. Our team is building a disruptive, oncology-specific software platform that will connect cancer centers across the country on a common technology infrastructure and address key healthcare challenges. Today, the Flatiron Health OncologyCloud™ platform includes the industry-leading electronic medical record for oncology, a first-of-its-kind analytics tool, patient portal, and integrated billing management. Ultimately, our goal is to help cancer centers leverage real-world oncology data, at a scale and clinical depth never before seen, to transform how cancer care is delivered. Following the acquisition of Altos Solutions in May 2014, Flatiron's platform includes OncoEMR, an oncology-specific cloud based electronic medical record (EMR) system that is used by over 1,300 oncology clinicians every day to diagnose, treat and manage patients battling cancer. Stop threats from cracking our infrastructure to get our data. Build incredible platforms to prevent and detect attacks and stop them in their tracks. Build the technology we really need to have a secure infrastructure. Keep up on the latest research and make sure the organization responds quickly. Build and lead a team of Security Engineers capable of understanding and defending against modern threats. Evangelize security in the company. We care, show us how to do it better! Strong cloud environment (AWS, GCP, Azure, etc.) knowledge, ideally AWS. Has deployed and managed Palo Alto firewalls; can manage Palo Alto security policies for Wildfire, Threat Prevention, Global Protect, etc. 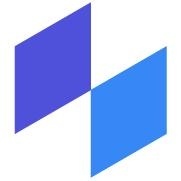 Learn more about Flatiron Health, Inc.